This drip tip is made of plastic and will only work on specific RDA's. It is short and with a wide bore, so it can provide a warmer throat hit with huge vapor. Users can see the atomizer's posts clearly through this drip tip as it has a 12mm top diameter. It is easily cleaned with water. This tip is specially is Tobh V2.5, Stillare, and similar rebuildable drip atomizers. Before using this drip tip, users need to remove the top cap of the atomizers. The bottom diameter of this tip is 20mm, but the inner diamter of atomizers may be different as the thickness of materials is different. 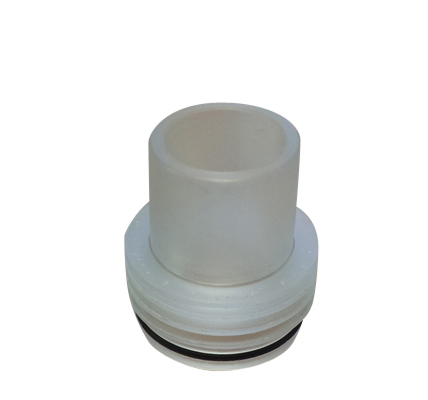 Measure your atomizer's top inner diameter before buying this tip. There is no return or exchange on this item.